There are no monsters in the closet. These are all words I said to myself as I lay in bed at night, my 7-year-old heart pounding and my imagination running wild in the dark. Sometimes my self-talk worked. Other times? The darkness kept me frozen and afraid until I’d fall asleep in exhaustion. Grown up now, I’m no longer afraid of monsters in my closet. Thankfully, I enjoy a good night’s sleep more often than not. But darkness still creeps its way into my life. I’ve experienced anxiety and depression since childhood. It’s been a lifelong battle, one I’ve never fully stopped fighting. Often, I didn’t want to reach out to God because I was ashamed of how fearful, discouraged and overwhelmed I felt. I wanted to “clean up” before inviting Him in. Believing I had to organize myself before approaching God for help, I tried to shove my messy feelings and embarrassing panic into closets so they wouldn’t show. But I’ve learned that before I call a friend or try to convince myself not to feel how I feel, I must invite God into my mess. It’s hard. It’s humbling. Yet over and over again, He responds. Most of the time, His response isn’t grandiose. I’ve never heard Him speak from a burning bush nor received a lightning bolt of happiness. But He shows up in friends, counselors, medical professionals and circumstances that remind me of His presence. Usually when I seek the Lord, my depression doesn’t necessarily lift, but it will shift. In the light of His presence, shame runs away. I’m beginning to understand the depth of God’s love for me. Not because I have something to offer, but because He is that generous. I am learning that I can bring my whole messy self before God. And when I invite Him in, He simply steps over all that clutter to sweep me up into His arms of grace. I love the lighter times in my life that have brought me tremendous joy and freedom. However, it’s the darkness of struggle that has taught me the enduring, unwavering grace of God. For that, I am grateful. He is with me in the shadows. He whispers words of compassion and care in the dark, even when I have nothing but messy feelings to offer in return. I’ve learned that my soul’s deepest need is not for the removal of suffering, but for the presence of Jesus Christ in the midst of my suffering. And I have that. If you’ve placed your faith in Him, then you do, too. Most of us have experienced difficult circumstances where there is no easy way out. Our first reaction might be to try to escape as quickly as possible. Or ignore it. Or organize the mess on our own. In our panic and shame, we forget that we are not alone in the darkness.  We forget what Psalm 139:11b-12a states, “Even the darkness is not dark to [Him];the night is bright as the day.” Jesus is there with us. We need only to stay still long enough to discover His presence in the places we don’t want to be. Depression and anxiety are still a difficult part of my life, but they no longer intimidate me. I’ve learned to find contentment in the darkness as well as the light, because Jesus is with me in both. If you find yourself in a dark place today, remember that your Savior and friend, the lover of your soul, is right next to you. You can invite Him into your mess. Jesus Christ will not leave you for a moment. He is unafraid of that which scares you most. Jesus sees every step of the journey you’re on, even when you cannot. Trust Him to guide your steps. And because He knows this painful place as surely as He knows the light, He’s the one who will take your hand and lead you into the sunlight once more. Dear Lord, help me trust Your love for me even when I cannot see a clear path out of my circumstances. When I find myself in the dark places of this life, show me the light of Your presence. In Jesus’ Name, Amen. Have you found yourself in a dark place? Melissa Maimone’s newest book offers down-to-earth comfort, transparent stories from her own journey and soul-stirring truths to anyone who needs hope in the midst of difficulty. Order The Radiant Midnight: Depression, Grace, and the Gifts of a Dark Place here today. Connect with Melissa on her Instagram, Facebook or on her website. Are there places in your life that feel messy, dark or hopeless? Cry out to God and ask Him to make His presence known. © 2019 by Melissa Maimone. All rights reserved.